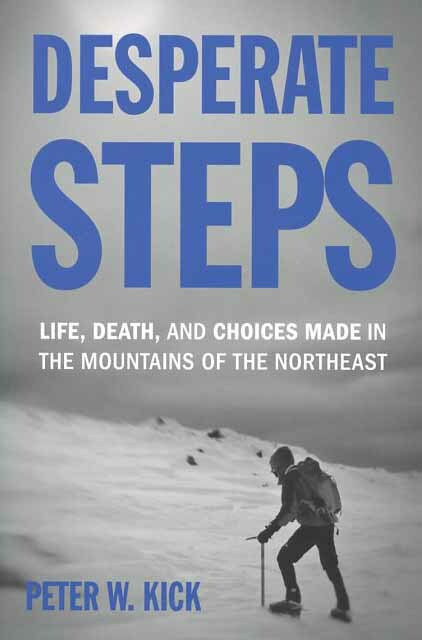 Desperate Steps: Life, Death and Choices Made in the Mountains of the Northeast, by Peter W, Kick, 2015. In the tradition of Nick Howe's Not Without Peril and Carol Stone White's Peak Experiences, this new collection recounts 20 true tales of backcountry misadventure and misfortune across the mountains of the Northeast, including the White Mountains, Green Mountains, Adirondacks, Catskills, Baxter State Park and the Appalachian Trail.The author has pieced together compelling narratives with the help of first-hand accounts from victims, families, witnesses and SAR professionals. The author also presents a retrospective analysis of each incident to discover what went wrong and how similar incidents could be prevented in the future. 288 pp., 6" x 9."